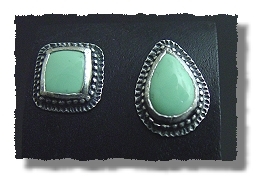 Similar styles may be available by special order. 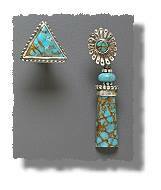 Post earrings with beautiful stone cabochons. 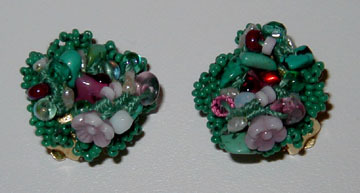 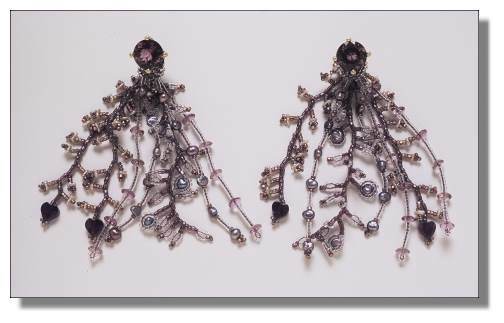 Mismatched or Fraternal Twin earrings. 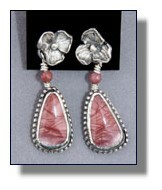 Cabochon dangles with sterling flower tops. 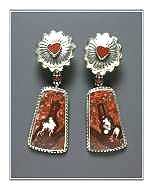 Concho tops with stone cabochon dangles. 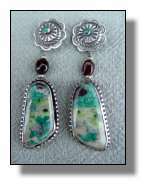 Little textural button earrings are sometimes nice with a more complex necklace. 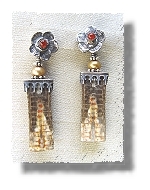 These go with the Spring Cartwheels necklace. 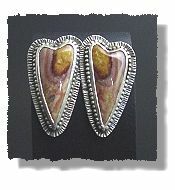 Huge faceted stones, abundant frills. 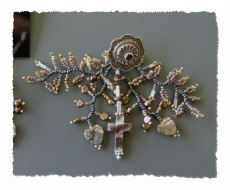 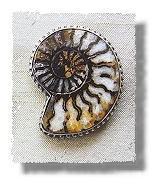 Concho post with tiny cabochon and beadwork dangles.